While AT&T is no longer the sole wireless carrier marketing Apple’s iPhone handset, the company was quick to note it still has a leg up on the competition when it comes to downloads speeds. The iPhone 4S supports AT&T’s HSPA+ network, and while your chances of hitting theoretical maximum downlink speeds of 14.4Mpbs are slim to none, that single statistic is proving to be a solid selling point. “It’s no surprise that customers are clamoring for iPhone 4S and they want it to run on a network that lets them download twice as fast as competitors’,” explained Ralph de la Vega, President and CEO of AT&T Mobility Consumer Markets. As of Tuesdsy, AT&T has activated more than 1 million iPhone 4S units, making it the most successful handset launch in company history. 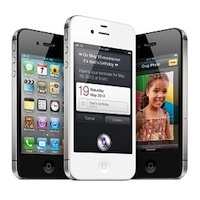 That’s roughly one quarter of all iPhone 4S devices sold, which Apple said surpassed 4 million units in its first three days on the market. Analysts and consumers won’t know how that 1 million figure stacks up against competitors until Verizon and Sprint release their sales figures.